Last year, I was asked to give a presentation to CLU students and decided to focus on the idea that they should be relentless in their networking! Often, when preparing for a talk, I “learn” something new or have an insight that sticks with me. For this talk, it was definitely that people looking to break into the business world should feel comfortable “over-promising” based on their current knowledge and then work their behind off to deliver on lofty goals! Anyway, I clearly don’t go to slideshare.net nearly often enough, because I just visited the site and noticed that the presentation I created for that event has over 10K views! Woot! Glad to see so many folks found it useful! On a related note, that talk at CLU brought in some awesome interns this past summer/fall and I’m back on the hunt for some more! If you know anyone interested in a crazy cool internship opportunity in either online marketing or technology development (developers! ), send them my way! I’ve been interviewing people for the past few weeks and we’re sure to have another great crew this spring! 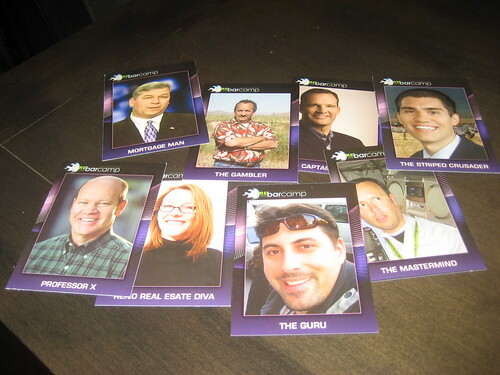 The BuzzRE OC event was so awesome… I met so many great people and the speakers came through with awesome presentations. Thanks again to everyone who took the time to join us! Gahlord Dewald: Always be testing! Loren Nason: Get on dropbox. It’s time! And it all couldn’t have happened without Linsey Planeta putting a ridiculous amount of time and passion into the day. She rocks! One of the things I most enjoyed about helping to organize BuzzRE was organizing the presentations… I had every speaker email me their presentation in advance so I could fit them into one solid presentation that didn’t feel like it was jumping around too much. I’m pretty darn proud of the final product and super-happy to share it with you via slideshare. View more presentations from Dustin Luther. What a great day! It really is awesome to see so many folks get excited about implementing advanced strategies and websites. If you’re looking for inspiration, check out this page of advanced real estate websites. And after such an awesome event, it’s now time to turn to organizing another awesome BuzzRE in Portland in early June. Want to get involved? Let us know! If you have feedback about yesterday’s event, I know all of us would sure would love to hear it! Posted on April 30, 2010 September 16, 2010 Author Dustin LutherCategories Agents Advice, Blogging, Digital Marketing Strategy, Events, Facebook, Lead Generation, Marketing, Marketing Tools, Real Estate Technology, The People of Real Estate, TwitterTags buzzre, home search, internet, Marketing, mFoc.us, networking, orange co, Presentations, SEO, slides8 Comments on BuzzRE OC Wrap-up! Lately, I’ve been putting a huge focus on thinking through how we (as professionals) can use social networking tools to build and strengthen our relationships... and in particular, our relationships with people who are key to growing our business (i.e. our “sphere” or “referral network”). The main idea behind Gist is pretty similar to other social media aggregators like MyBlogLog, FriendFeed , Seesmic and Google Buzz in that you add all of your other social media accounts (Facebook, LinkedIn, Twitter, etc) and then use one tool to see all your updates. However, there’s one HUGE improvement they’ve made. Rather than forcing you to view updates based on a timeline (i.e. 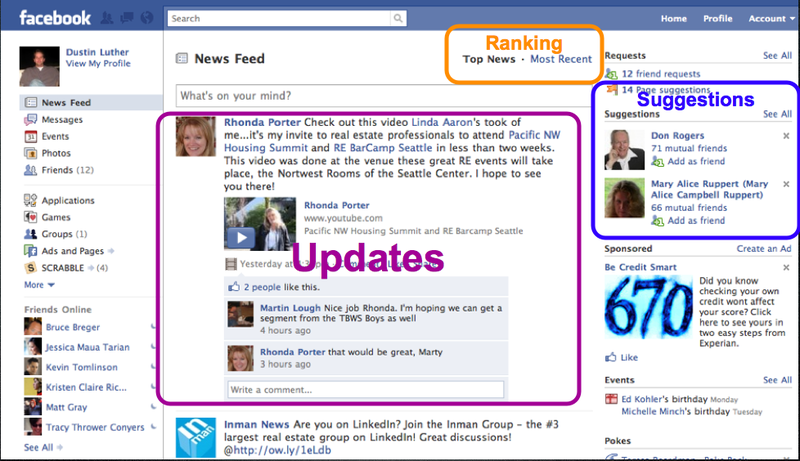 most recent updates first), they allow you to view updates in a “people” mode where you can view all the updates from that person (whether they are on Facebook, Twitter, their blog, foursquare, etc.) based on the importance that you’ve selected. (Facebook has tried to do this with their “top news” feature, but it’s crude at best and doesn’t do a great job finding updates that are important to me). After a few days of using Gist, I can tell you that there’s no turning back to this style of update consumption. If I’ve got 5 minutes, then I can quickly navigate all the people that are super-important to me, whereas if I have a bit more time, then I can dive deeper into reading updates from people that are less important. And because I’m not missing out on updates from super-important people any more, I’m finding I’m MUCH more active on places like Twitter and Facebook because I spend less time sorting through the noise. However, there is a HUGE problem with the tool. There are so many options and ways to configure things that it could definitely be off-putting because it can take a few hours of configuring before the system is humming. Nonetheless, it’s totally worth taking the time, so let me walk you through the steps to setting up a configuration that’s working really well for me. 1) Import contacts (connect) from four main tools: Facebook, Twitter, LinkedIn and Email. For Facebook, Twitter and Gmail (my email), this only needs to be done once and then will get updated automatically afterwards. In other words, just show EVERYTHING and then sort the results by importance. 3) Start prioritizing people within your sphere. All you need to do is go through your people and start ranking them on a scale of 1 to 100. Initially, I’ve been adjusting EVERYONE’s priority, even if only just a bit to make sure I put some thought into how important this person is to me. To make this as easy as possible, I’ve been basing my ranking of each person based on one simple question: How likely is this person to send me business some day? Here’s a screenshot of my page where I’ve ranked Scotty Brown a 100 (out of 100!). Using the criteria “how likely is this person to send me business some day?” might sound a bit cold and calculated, but I’ve found it works quite well. The people close to me (family and good friends) are almost always referring business my way, so they show up highest. Other people have been ridiculously great to my consulting practice in terms of referring business my ways, so of course I want to see and respond to their updates whenever appropriate. 4) Use Gist instead of Facebook, twitter.com, seesmic, tweetdeck or whatever else you use to check status updates of your contacts. If you configure things just as I have, you’ll find that there are a ton of updates coming into the system all the time… almost definitely too many to check on a regular basis. However, there’s no need to read all the updates. Start at the top (i.e. the most important people) and wind your way down as you have time. To move from one person to the next (and this is critical! ), all you have to do is click on the check mark to the right of the “importance” bar (this is the “mark all as read” option). For example, while I’m reading Linsey Planeta’s updates, if I click on the check mark, the tool will bring up Scotty Brown’s updates because he is the next most important person with an unread update. And, of course, if I want to respond to any of these updates, there’s always a link that takes me to the appropriate place to respond. Another useful feature is the “remove” button to the right of the check mark. This will remove this person’s updates from showing up on your dashboard. If you find a person or company that you never want to see updates from, simply hit the remove button. In order to make the tool as useful as possible, I’ve adjusted just about all of my contacts by either revising their “importance” or “removing” them. 5) The hardest part of using gist is configuring the importance for all your contacts and this is only hard because it takes a decent amount of time. However, if you ignore tags and all the bells and whistles besides “importance”, it doesn’t have to take all that long before you can start using the dashboard and getting some decent value from the tool. At least a few times you’ll almost definitely want to give yourself an hour or two in order to filter through updates from everyone on your list. Gist tries to auto-prioritize folks for you, but tons of folks from Facebook and Twitter who might be super important to you will likely be have the default importance levels of “50,” “25” or “1”. The beautiful part of the tool is that once it’s configured, you end up with so much more control over which updates you see. Better focus: rather than letting the “noisiest” people (i.e. the folks who tweet the most) take up the most mindshare, you can rank those people low on importance and only see their updates on a day when you’re bored and get to the people who rank at lower levels of importance. By the same token, if there are a few folks rarely update, but whose updates you never want to miss, you can make sure to rank them high in importance and you’ll get to see everything they say. Network integration. For the people I care about, it shouldn’t matter where they are active (Facebook, Twitter or their blog), I just want a tool to connect with them where appropriate, so I’m loving that Gist mixes and matches updates based on the person, not the network. Finally, Gist is still in “beta” and there are a few bugs (and they mention they will likely start charging some day). However, even if they start charging some outrageous amount, or go under for lack of funding, I can tell you that this approach of filtering people based on the importance you place on them is here to stay. It’s just too darn useful! RE BarCamp: Collect them all while supplies last! What a great day at RE BarCamp! It was so much fun to see everyone and build out my card collection! Blogger Cards, originally uploaded by tyrsdomain. Lots more photos from myself and others on this Flickr group. Posted on July 23, 2008 Author Dustin LutherCategories Real Estate PeopleTags blogging, networking, real estate, rebarcamp, rebc5 Comments on RE BarCamp: Collect them all while supplies last! …pre-launch opinion was to be very skeptical. After a conversation with Ryan Slack (former CEO of PropertyShark, now CEO of MyDealBook), I became more optimistic that he had a plan beyond starting with a mass of users. The way I understand it, the site is kind of cross between LinkedIn and ActiveRain… but with a larger focus on the commercial real estate sector since that community is pretty underserved online (as mentioned to me by Ryan). I’ve been playing with the site for a few minutes, and it definitely leaves me with the feeling of “what next”, but I’m not really the target market. I’m not really looking to connect with others to make deals, but then again, I’m not sure real estate professionals are looking online for this type of community. With that said, if you do decide to try out the system, you (apparently) need to be “connected” to at least a few people before it will give you access to some of the features (like member search), so feel free to connect up with me.